Let me start by saying that I've never listened to Kayak prior to the release of this album. This is quite a shame since I've now gone back and explored some of their catalogue and found it to be quite impressive. 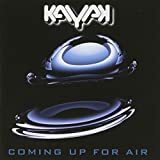 So if you're in the same spot as me and love crossover prog bands like Supertramp, Barclay James Harvest, ELO, Procol Harum etc then don't hesitate and give Kayak a go. My first encounter with Kayak occurred just a few months ago when I stumbled upon a video trailer for Seventeen on InsideOutMusicTV YouTube channel. 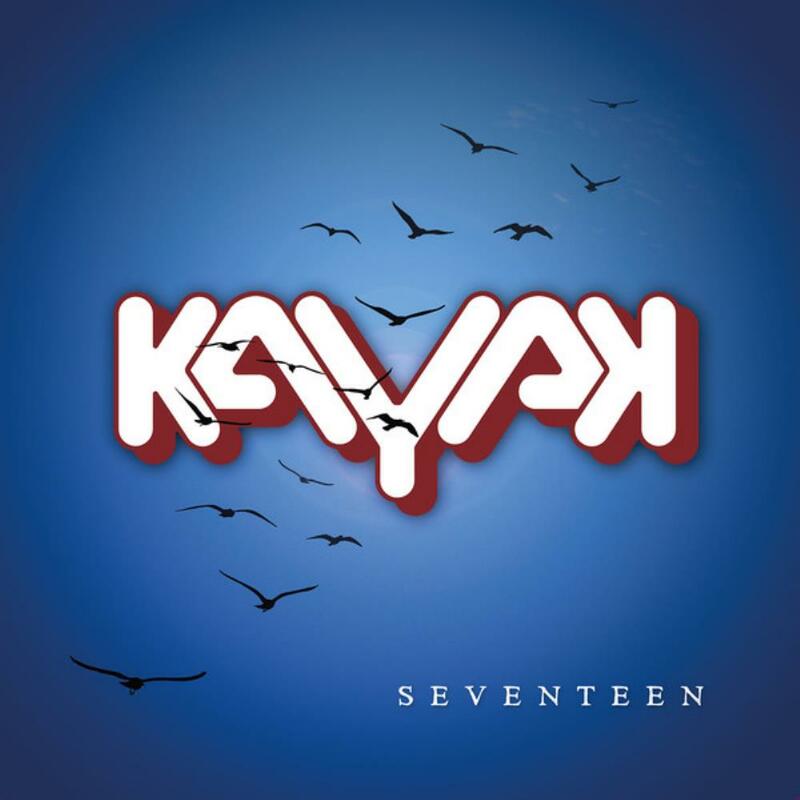 I have heard of Kayak before but somehow assumed that they were similar to their countrymen Golden Earring and thus was nothing that would interest me. The music that I've heard in the trailer really sparked my interest due to the strong melodies, stellar keyboard work from Kayak veteran Ton Scherpenzeel and the interesting band lineup that featured Kristoffer Gildenlöw (ex-Pain of Salvation, For All We Know) on bass and Collin Leijenaar (ex-Neal Morse) on drums/percussion. The album was due in early 2018 and I was quite interested in hearing more of the material. I went on Spotify and found three singles All that I Want, Feathers and Tar and the shorter version of La Peregrina. All that I Want was easily the least progressive of the bunch but featured strong verse and chorus that made it enjoyable for me. Feathers and Tar and La Peregrina completely stole the show for me. Both of the songs begin with very melodic guitar style of Marcel Singor and he is, together with Ton Scherpenzeel, the one that has the most time in the spotlight during the album's duration. Singor really made an impression on me and I'm interested in hearing more of his other work in the future. 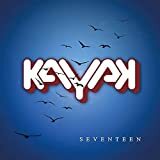 There was just no way that I could let this album pass me by so I did the obvious and ordered the 2-CD edition of the album from Kayak's website. Once I got the album, I must have played it at least a dozen times without every getting tired of the material. Once the opening track Somebody starts playing there's just no way for me to stop the album from going all the way to the last track To An End. Beside the shorter songs and interludes like X Marks The Spot and Ripples On The Water (featuring Andy Latimer on guitar), there are three centerpieces in the form of La Peregrina, Walk Through Fire and Cracks . I'd say that La Peregrina is easily my favorite out of the three and I really enjoy it musically and contextually (story about the famous pearl La Peregrina throughout different eras with reflections on immortality of objects and the mortality of men who think that they can own the pearl). This 12 minute opus feels much shorter than its playtime might imply and I still haven't gotten tired of this composition and all of its twists and turns. Walk Through Fire is probably the composition that has grown on me the most over time. At first, I didn't think much about the lyrics and the melodies but it did sort of fall into place eventually and Walk Through Fire is definitely a great piece of music that most prog fans will enjoy. Cracks is the last of the three longer compositions on Seventeen and is definitely my least favorite. I feel that the structure of this composition is all over the place and it lacks the melodic punch that Ton Scherpenzeel is usually known for with his material. Even though we're still in the beginning of the year, I'm very certain that Seventeen will be one of my top 10 favorite albums that I will take with me from 2018. Not only does the album deliver in its centerpieces but there are just so many great moments spread out all over this album that makes for a great overall experience! Post a review of KAYAK "Seventeen"